Photographer, stylist, and fashion buyer Bryant Lee out to tea. 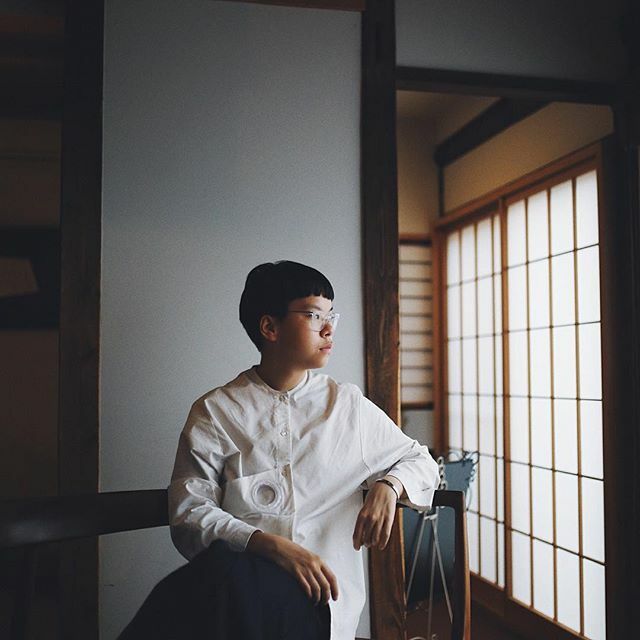 Photo by @fei_fli. Bryant Lee’s fashion sense knows no borders. Although born in the US and now based in the UK, he counts the years spent growing up in Hong Kong as the most defining of his life. And the ones that would help solidify the things he prioritizes most: great food, great art, and great taste. 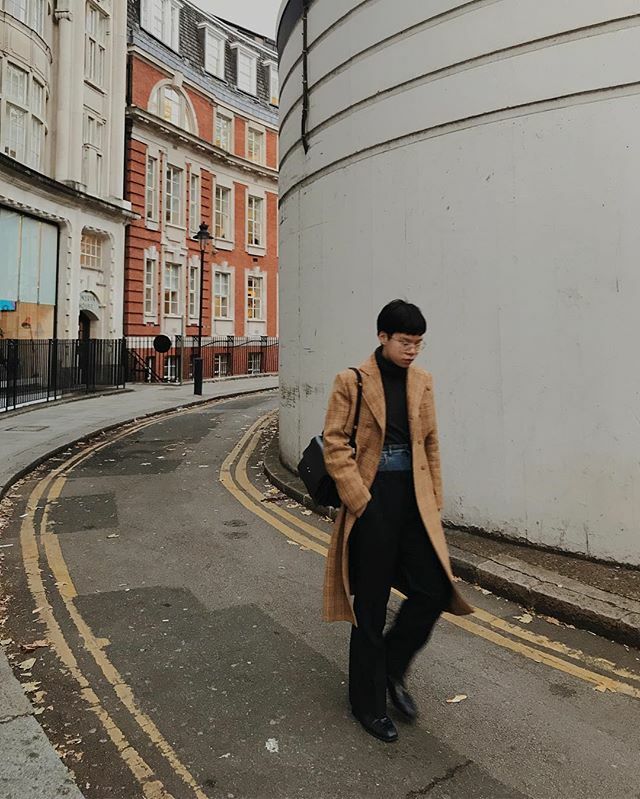 His modern style, creative eye, and bubbly disposition work wonders for him in London, where he first made it as a photographer and stylist and now works as a buyer for high-end retailer MACHINE-A. 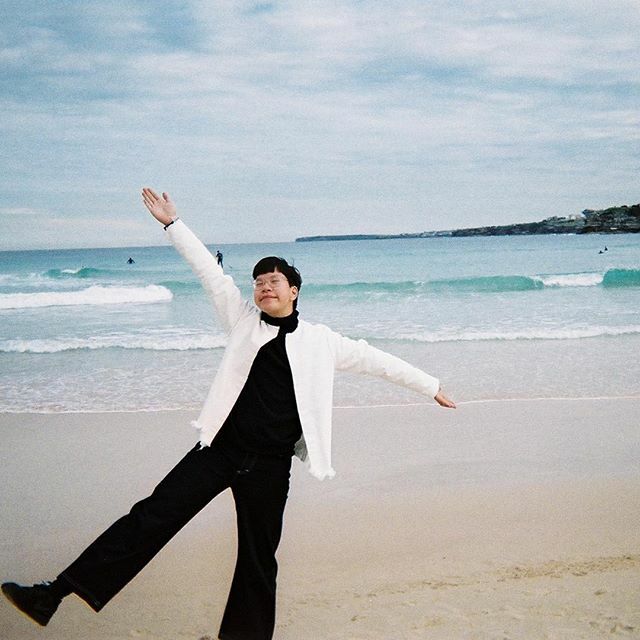 But despite his love for the eclectic personalities and style choices that flood the streets of England, there’s no place that could take the place of his home off the Chinese coast. World-renowned for its street food and incredible skyline—tall, geometric skyscrapers juxtaposed again lush green hills and the blue waters of the Pacific Ocean—Hong Kong is still a relative newcomer to the artistic scene. Lead by a generation of passionate young creatives with no intentions of slowing down, Hong Kong’s new era of imagination and luxury is just on the horizon—and Lee knows exactly where the revolution can be witnessed. 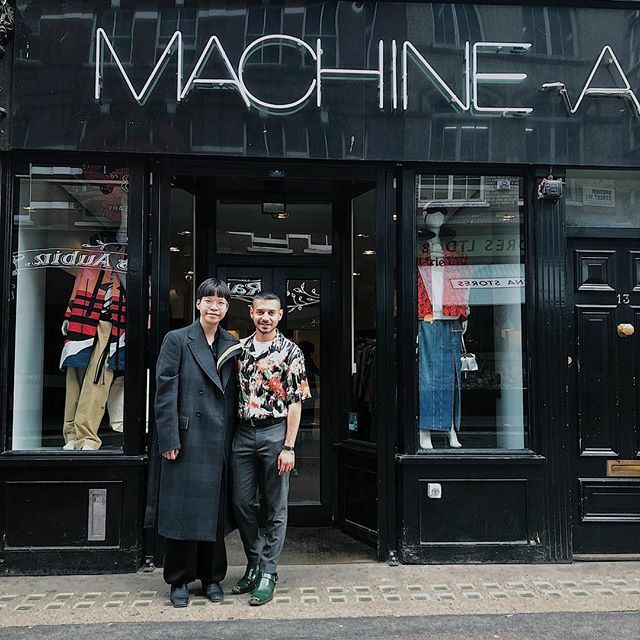 Bryant Lee outside of MACHINE-A with founder Stavros Karelis. Photo by @bryantlives. Lee's modern and immaculate style fits perfectly into any setting. Photo by @bryantlives. How did you become interested in fashion? What makes you passionate about it? Growing up, I was never an academically driven kid. I always found myself having an interest in arts or drama—I know, typical, but it’s true! Another cliché answer: my mom also influenced me. She is one of the most fashionable people I know. Seeing her dress up for work when I was young definitely lead me to fashion. I find it fascinating when a group of like-minded people creates beautiful things, whether it's a product, an image, or a video. In the fashion industry, there are a lot of collaborations, and it's amazing to see everyone getting their heads together to create new and innovative things that everyone is passionate about. What led you to London from Hong Kong? What led me to London was the University of the Arts. I was definitely going to study abroad for university. I knew I didn't want to be in the States, as I can go back anytime as a US citizen. I wanted a new city to explore, which is why I chose London, and I am so glad I did! What are the main differences you see between Hong Kong and London style? In Hong Kong, you don't really see many people dressing up for themselves—it's mainly a trend focused city. I think a lot of people are scared to dress up, thinking people will judge them. In London, you see all types of styles, which I really love—you can really be yourself in London. However, whenever I'm in Hong Kong, I just dress for myself, so it doesn't really matter where I am! Lee on set. Photo by @bryantlives. What do you love most about styling and photography? Growing up, I always knew I wanted to work in fashion buying. However, during my foundation year at the London College of Fashion, my tutor convinced me to do creative direction, which involves styling and photography. I am so glad I did it—it allowed me to open myself up to the world, which is what I continue to do today in terms of styling, production, and photography. However, it all still led me to buying, which is what I am doing now for MACHINE-A. I love photography. I don't have as much time for it as I used to, but whenever I finished a photo shoot, I was always so excited to edit and curate my images. Styling came naturally to me after doing all of the photoshoots. You ultimately have to create and curate the whole photo shoot when you’re a photographer; almost like a producer, you have to understand all aspects of the shoot. When I first did it, I didn't have as much help as I do now, which made me push to do everything while on set—makeup, styling, location hunting, model scouting, and photography. Casual, chic, and playful. I wouldn't say my style sticks to one category—it's not just casual, or just chic. I have days where I want to dress up to super-chic levels, but sometimes I just want to be casual or even wear rainbow colors. It really depends on my mood—I don't like to stick to just one genre of style. I find that quite boring and repetitive, which is why I like to dress up in different ways throughout the week to keep things interesting! What does Hong Kong contribute to the fashion industry? What do you think makes it a great place for fashion? There is definitely a rise of new creatives trying to push contemporary boundaries within the fashion industry. Many art exhibitions, like Art Basel, are held in Hong Kong because Hong Kong is seen as a place that is moving up in terms of the creative industry. 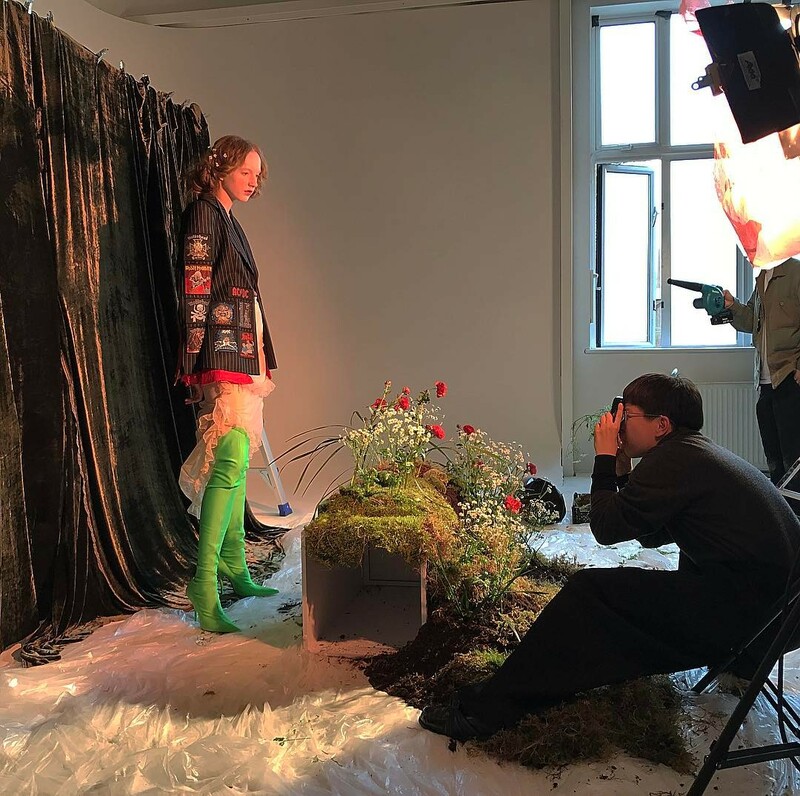 As fashion is still quite a new platform for Hong Kong, in terms of new creativity, it allows for young creatives to make their mark in Hong Kong without the pressures of breaking the mold. Lane Crawford regularly hosts installations for up-and-coming designers, like this one by Dawei Studio. Photo by @lanecrawford. What designers and boutiques from Hong Kong do you love? Anchoret and Lane Crawford are two of my favorite boutiques in Hong Kong. Both are cool stores that push the boundaries of fashion, art, and lifestyle in the luxury market for Hong Kong. Lane Crawford has a platform that searches for the next big talent, which is great for the young generation. Since it is one of the largest luxury boutiques in Asia, it gives new designers a platform and access to a big company! 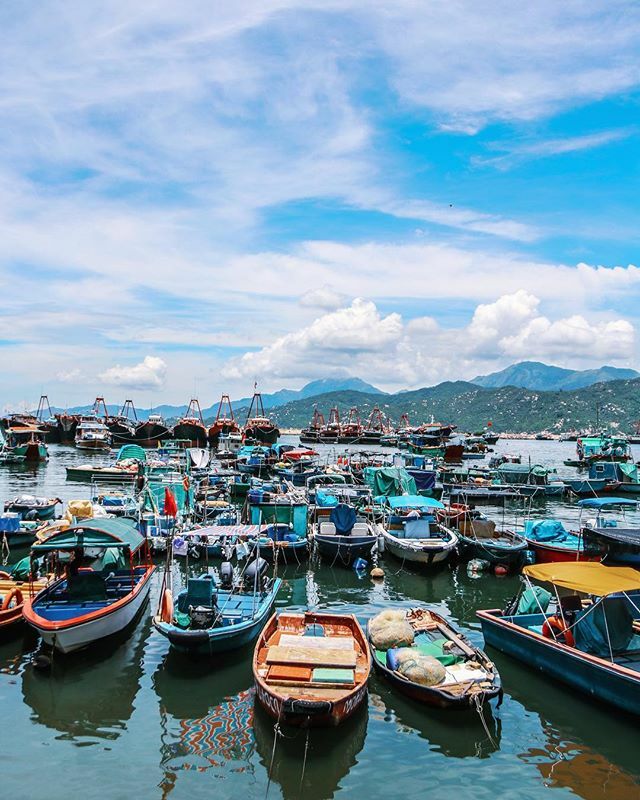 A throng of boats float in the water at Cheung Chau. Photo by @sasokei. If you were bringing a friend to Hong Kong for the first time, what would you take them to do? Definitely a visit to Cheung Chau Island for the day, riding bikes, and eating traditional local Hong Kong food. 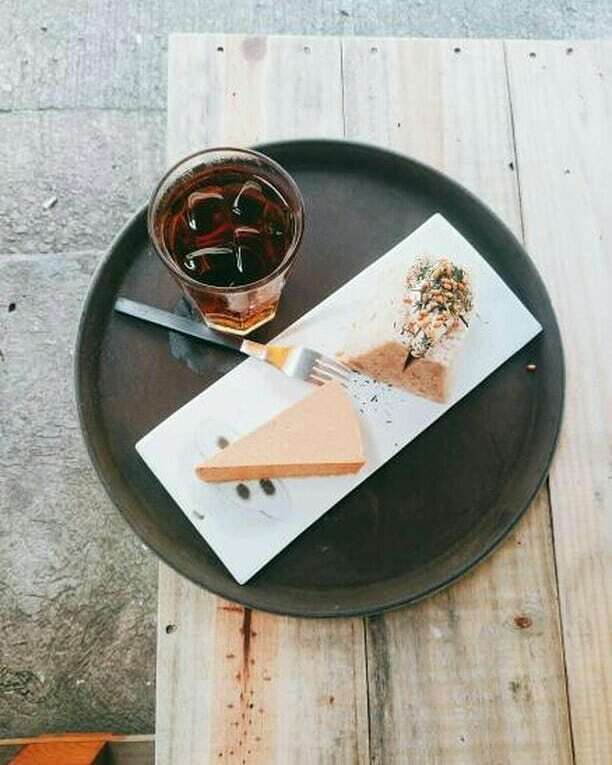 Delicious (and photogenic) teas and cakes await at Teakha. Photo by @cookingbrace. Favorite place for dinner and drinks? Sushi Ta-Ke in Causeway Bay for dinner is my favorite! Also, Pololi has the best poké bowl in the world, in my opinion. I don't drink alcohol; however, I do drink tea. My favorite café is Teakha in Sheung Wan. They have the best Yin Yang sea salt chiffon cake. 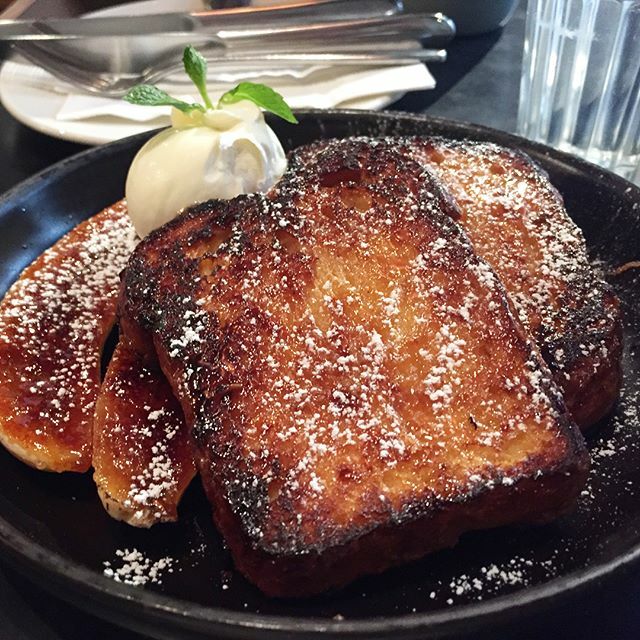 The Cupping Room's french toast is perfect for brunch. Photo by @n3tmak. Best place for brunch and coffee? Bibo for brunch in Sheung Wan—the restaurant is so cute! For coffee, I like The Cupping Room in Central. Breakfast at the Upper House, served with a scenic view. Photo by @upperhouse_hkg. Where should visitors stay in Hong Kong? The Upper House or Tuve Hotel, both for contemporary luxury. 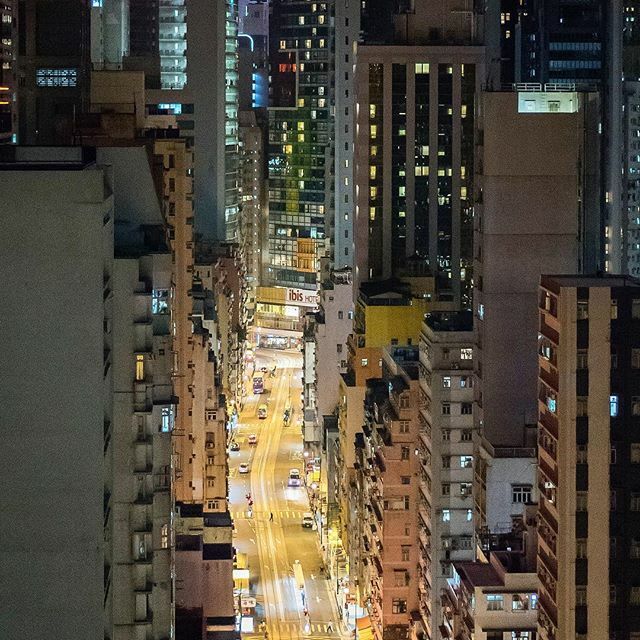 Sheung Wan may be one of Hong Kong's most iconic neighborhoods. Photo by @hkphototour. Favorite neighborhood in Hong Kong? What’s the best season to spend in Hong Kong and why? Wintertime. Even though it's not that cold, at least it's not a sauna when you walk out of the malls. 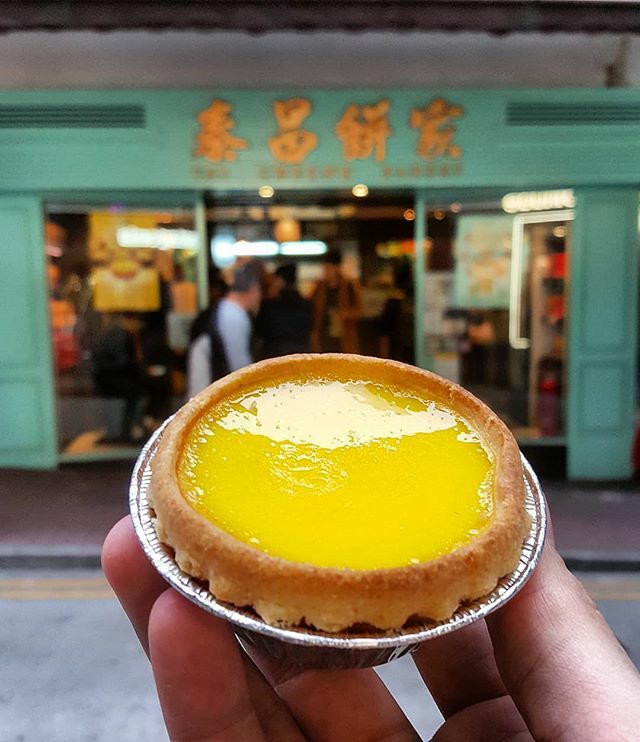 Egg tarts from Hong Kong's Tai Cheong Bakery are hard to beat. Photo by @allthingsmeaty. What dishes is Hong Kong known for, and where are the best places to get them? 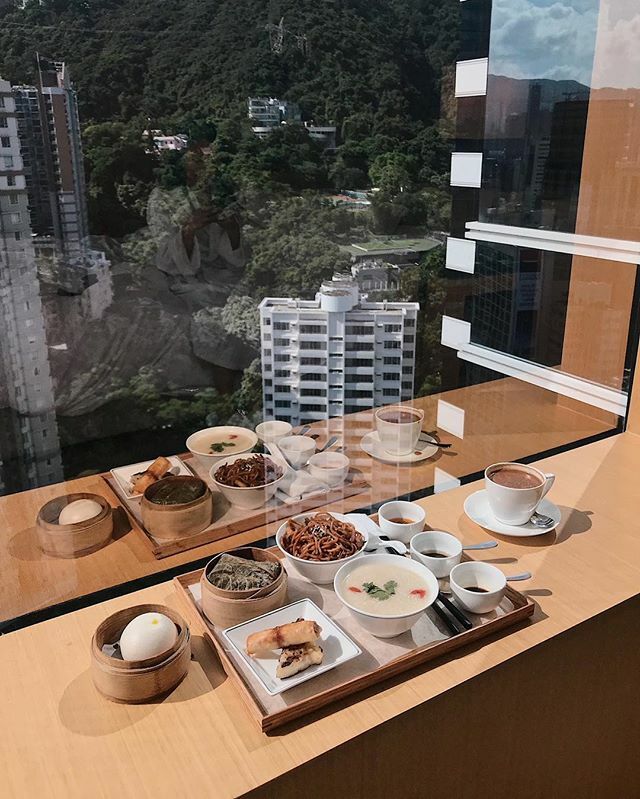 Traditional Cantonese-style breakfast, which involves toast, eggs, ham, milk tea, and some sort of noodles. Get this at Australia Dairy Company! Also, go to Tai Cheong Bakery for egg tarts. 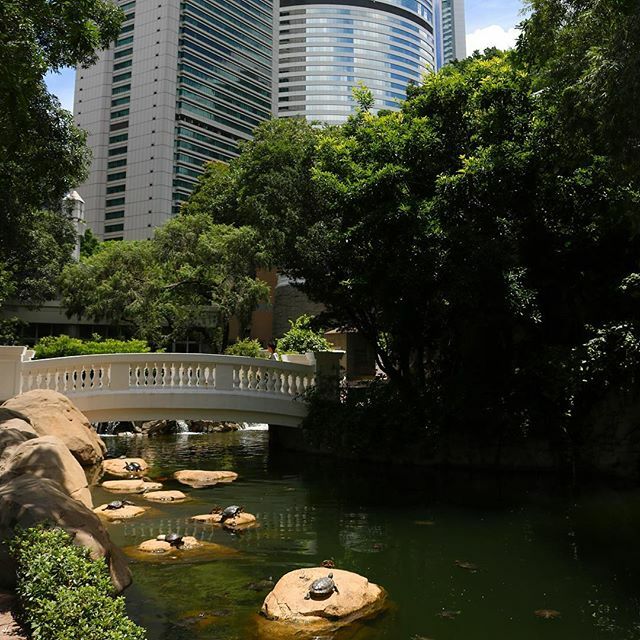 Nature and structure come together in harmony in Hong Kong Park. Photo by @riverkatie. Where can you get the most beautiful view of Hong Kong? Hong Kong Park—you can get a mix of skyscrapers and nature. Lee is happiest by the sea. Photo by @bryantlives. Where do you go in Hong Kong to gather inspiration? How do you get away, every day?